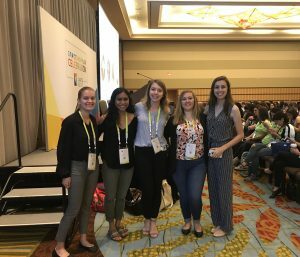 Twenty Iowa State University students had the opportunity to attend the world’s largest gathering of women technologists in Orlando, Florida, from Oct. 4-6. 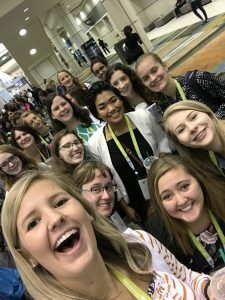 Students from the Department of Electrical and Computer Engineering (ECpE), along with students from the student organizations Digital Women and Electrical, Computer and Software Engineers and Leaders (ECSEL), traveled to the event. 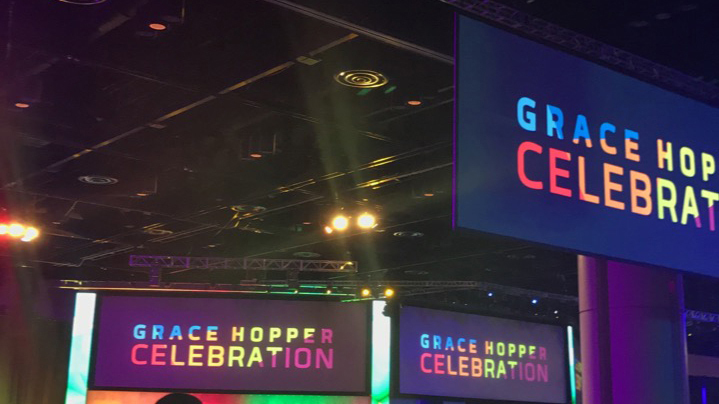 The Grace Hopper Celebration (GHC) is hosted by AnitaB.org, formerly known as the Institute for Women in Technology, in partnership with the Association for Computing Machinery (ACM). In 2013, GHC played host to 4,500 attendees; this year the conference had over 18,000. “Grace Hopper [GHC] was an incredible experience. I never thought I would be able to see over 100 women in tech in a room, let alone 18,000,” said Ashley Dvorsky, a software engineering senior. In 1994, Anita Borg, computer scientist and founder of the Institute for Women in Technology, co-founded GHC, which was inspired by Grace Murray Hopper. 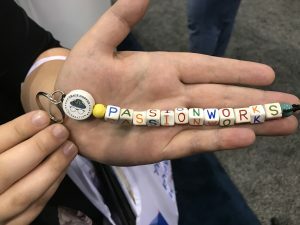 With the mission to create a space for women technologists, the goal of the conference was to offer women a chance to improve their technical skills and connect with each other. Hopper was a computer scientist and United States Navy rear admiral. She was a pioneer in computer programming and invented one of the first compiler-related tools. During the early history of computers, Hopper discovered something unusual between a relay in the machine. The team had discovered a moth trapped in the computer. In her log book, she wrote,“First actual case of bug being found,” and it was the first time someone had used the word “bug” to describe a computer glitch. Because of Hopper’s discovery, ISU ECpE adopted the moth as symbol of the department, which can be seen in the marble sculpture on the west side of Coover Hall. The GHC offered attendees many valuable resources, from a student opportunity lab to a track designed specifically for faculty attendees. Not to mention, this was one of the largest career fairs in the U.S.. Additionally, there were a variety of seminars the women could attend. Inspirational and educational speeches were given by big names in tech like Melinda Gates, co-chair, Bill and Melinda Gates Foundation; and Debbie Sterling, founder and CEO of GoldieBlox; as well as ISU alumna Cassidy Williams. 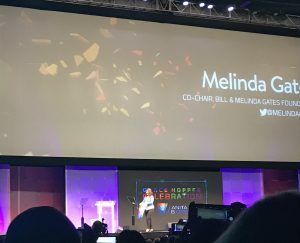 Several of the Iowa State women who attended also enjoyed Melinda Gates’ speech, as she addressed the key issue of decreasing numbers in graduating women in technology. Iowa State houses a variety of programs with a focus on women technologists, all with the common goal to assist, inspire and maintain women in technology-related fields. Just a few of the STEM student organizations are Digital Women, ECSEL, Women in Science and Engineering (WiSE) and the Society of Women Engineers. All four offer women in computer science, software engineering, electrical engineering, computer engineering, management information systems and other related fields, networking opportunities and educational support. Seventy-four percent of young girls have expressed interest in STEM, according to AnitaB. Additionally, while 71 percent of women receive negative feedback about their personalities in the workplace, 81 percent of men receive constructive feedback about their workplace personalities. GHC also was created with the goal to implement new programs and work with organizations and individuals to address the gender gap. Women technologists are increasingly joining forces to support each other through networking opportunities like GHC. 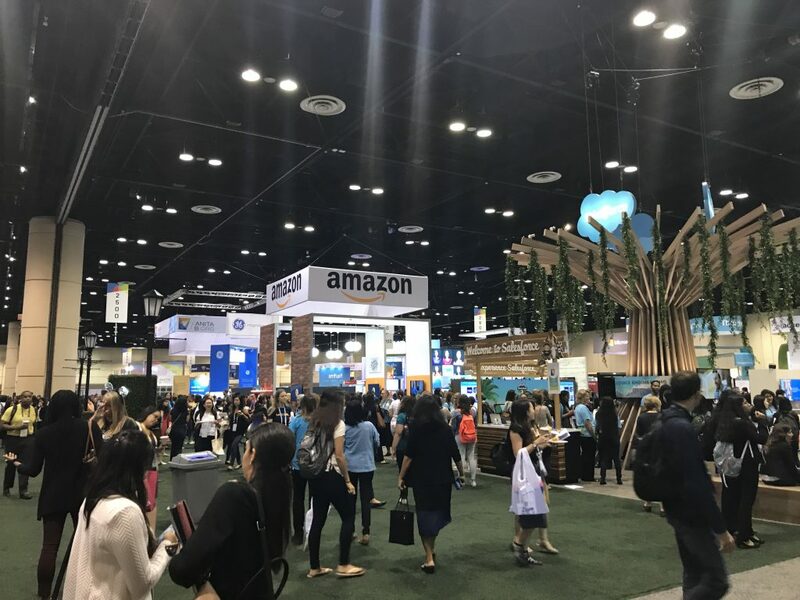 During the event-packed days at Grace Hopper, attendees were invited to a career fair featuring a staggering amount of big name companies, like Amazon, Apple, Google, Microsoft, Facebook, Target and The Walt Disney Company. Full list here. At the career fair, EE senior Sarah Huber met representatives from Tesla, where she will be working full-time starting in February. As a program manager for power electronics, she will be working with things like the car plug, superchargers and SolarCity, a subsidiary of Tesla that specializes in solar energy services. GHC offered attendees amazing insight and hope within the male-dominated technology industry. By providing attendees with knowledge and a powerful network of women, the Iowa State attendees have returned feeling more inspired than ever.